The popular Dedham 10k run saw 19 Blue Vests racing on Sunday 14th September. Several achieved new personal bests despite the hilly nature of this course. Chris Warren was the first Bentley man to finish, clocking 37:26, 7th place overall. He was followed by Patrick Reynolds 41:46(PB), Malcolm Jarvis 41:50(PB), Kevin James 46:39, Martin Owen 48:35, Eileen Shadford 49:19, Claire Fathers 53:10, Frank Gardiner 54:17, Gary Hill 54:42, Natalie Stewart 55:02, Lesley Fuller 55:12(PB), Sue Sorrell 56:04, Lynsey Apps 56:49(PB), Claire Groves 57:55(PB), Claire Reynolds 58:14, Belinda Palmer-Jones 1:01:08, Miriam Mark 1:04:46, Luke Groves 1:04:15 and Ruth Metcalfe 1:16:09. 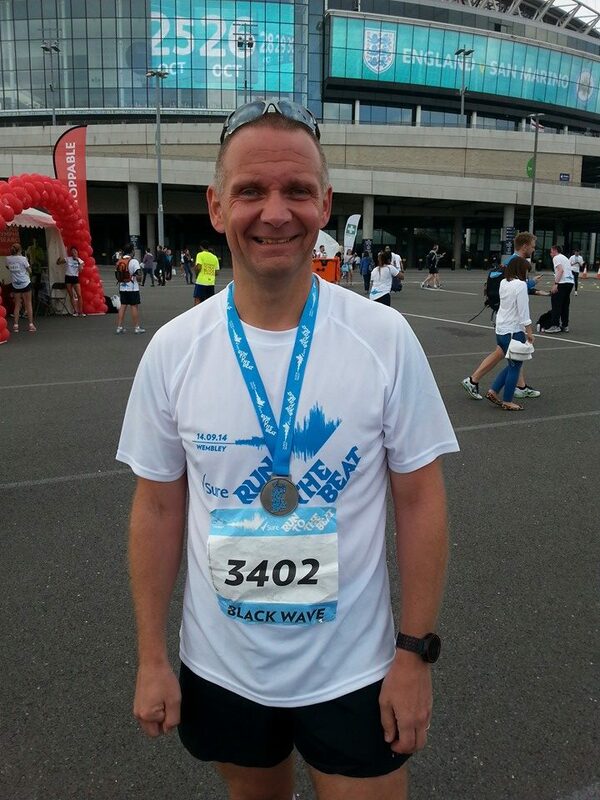 Michael Belton travelled to London to take part in the Run To The Beat 10k, finishing in 48:35. Lee Clarkson ran the 10k at the Clacton Triathlon in 43:25. Rodger Alexander finished the 30 mile Brecon Beacons Mountain Trail Challenge in 6 hours 45 minutes on Saturday 13th September. Three Bentley runners turned out for the Colchester Parkrun this weekend; they were Malcolm Jarvis 24:20, Ben Ficken 22:05 and Scott Young, pacing a friend in 28:28.